This article first appeared in The Edge Malaysia Weekly, on December 18, 2017 - December 24, 2017. SINGAPORE-based ARA Asset Management Ltd (ARA), which is in the midst of planning a listing of a real estate investment trust (REIT) on Bursa Malaysia, may float the trust as early as the first quarter next year. Five Malaysian assets valued at RM1.85 billion are expected to be injected into the mall-based REIT, sources say. The Edge understands that Maybank Investment Bank Bhd will be the adviser and sole bookrunner for the planned listing that will comprise Klang Parade and Citta Mall in Selangor, 1 Mont’ Kiara in Kuala Lumpur, Ipoh Parade in Perak and AEON Bandaraya Melaka. It is learnt that Maybank Investment and Public Investment Bank Bhd will underwrite the planned listing. ARA’s country head June Lim did not respond to questions sent by The Edge. However, sources say an early exposure draft prospectus may have already been submitted to The Securities Commission Malaysia and should ARA stick to its plan, the REIT is targeted for listing in 1Q2018. It is understood that MTrustee Bhd has been appointed as the trustee of the planned REIT while Knight Frank Malaysia is believed to have done the valuation of the malls. The assets are owned by a fund called ARA Harmony III, which in effect is the sponsor of the REIT. The assets were originally owned by ARA Asia Dragon Fund (ADF), which is linked to Hong Kong’s Li Ka-shing’s Cheung Kong Group. ARA Harmony III, established in August 2015, took over the portfolio of the income-producing retail properties in Malaysia. At that time, the assets were valued at RM1.773 billion. In February 2015, The Edge reported that an initial plan to divest the malls was scrapped as ARA was planning to inject the assets into a private fund ahead of a planned listing. A source tells The Edge that the total fund size is an estimated RM1.9 billion, of which RM1.85 billion are assets under management and the rest are listing-related expenses. Up to 35% of the fund will be raised via debt while 65% or RM1.235 billion will be via equity. Of this, it is understood that Harmony III will hold 50% while the remaining RM620 million may be raised from the planned IPO. It is learnt the net yield of the retail assets that will be injected into the REIT is between 4.5% and 6.35%, with Ipoh Parade and AEON Bandaraya Melaka at the higher end of the range. Sources say the malls are enjoying high occupancy rates. Citta Mall in Ara Damansara, which has 459,000 sq ft in net lettable area (NLA), is about 85% tenanted while Klang Parade, which has an NLA of 665,00 sq ft , is 94% tenanted. In Kuala Lumpur, 1 Mont Kiara, with 238,000 sq ft in NLA, is 95% occupied. Ipoh Parade, with 618,000 sq ft, is believed to be the best performing mall among the five, with 97% tenancy. As for Aeon Bandaraya Melaka, AEON is the master lessee, which for ARA, is akin to being fully occupied. The NLA for this mall is 623,000 sq ft.
All the malls underwent renovation and refurbishment exercises in 2013/14, which means the tenancies may have been renewed recently. Retail tenancy agreements are typically for three years. ARA already manages AmFIRST REIT in Malaysia via its 30% stake in Am ARA REIT Managers Sdn Bhd, a joint venture with AmInvestment Group Bhd. There is talk that ARA may have to divest its 30% stake in Am ARA REIT Managers as it will be setting up its own REIT and there may be a conflict of interest. At present, APM Property Management in Malaysia is providing property management, consultancy and project management services for the assets. The five malls were acquired by ADF1 between 2010 and 2012 for an estimated RM1.3 billion. ADF1 was established in 2007 and had an initial term of seven years. The bulk of the asset enhancement exercise on the malls in 2013, which cost over RM200 million in total, was allocated for the upgrading of Klang Parade. ADF bought 1 Mont Kiara from Aseana Properties Ltd for RM330 million in 2010. AEON Bandaraya Melaka was acquired in the same year from AEON Co (M) Bhd for RM710 million, while it was still under construction. In 2011, ADF bought Klang Parade and Ipoh Parade from TMW Asia Property Fund. Klang Parade went through a RM120 million makeover, and RM90 million was spent on the upgrade of Ipoh Parade. 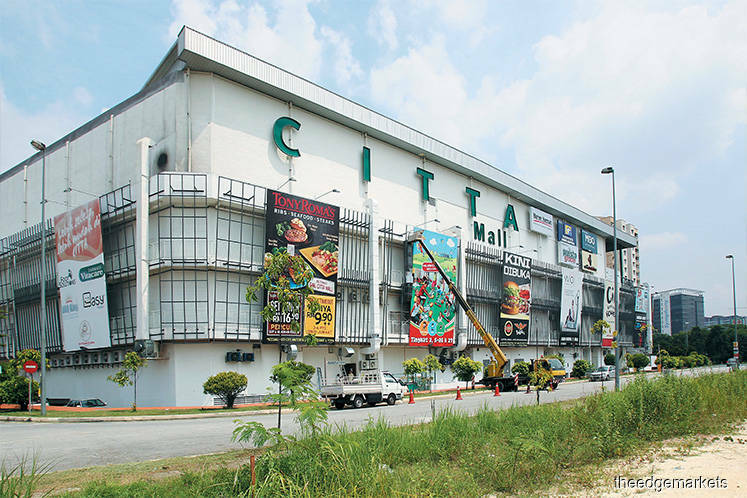 As for Citta Mall, it was purchased in 2012 for RM200 million. The mall was developed by a joint venture between German real estate fund SEB Asset Management and property developer Puncakdana Group. ARA, which was listed on the Singapore Stock Exchange, was taken private this year.